Support innovation. Strengthen families. Create treasured memories. 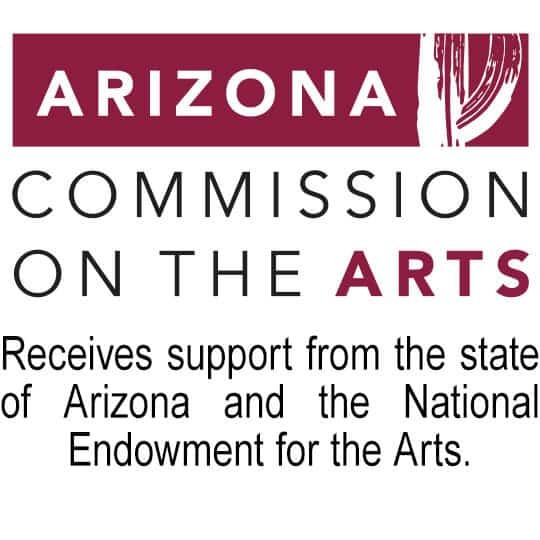 Support Arizona’s future scientists, engineers, teachers, business leaders and creative professionals. Make a donation to the i.d.e.a. Museum, which inspires nearly 90,000 children of all ages in the Valley through world-class art exhibitions and hands-on STEAM activities focused on supporting early learning, nurturing creative thinking and engaging families. Make an annual or monthly donation and be a Possibility Maker. Join the da Vinci Society with a special multi-year commitment. We also offer other options for supporting the museum. Contact Development Manager Lindsay Hochhalter to learn more. She may be reached at lindsay.hochhalter@mesaaz.gov or 480-644-5564. Please note: Many companies match employee donations. That increases the impact of your gift, as it provides additional support for the Museum’s educational exhibitions and programs. Your one-time gift to the i.d.e.a. Museum makes a big impact! Your one-time donation of $20 helps purchase art supplies such as watercolor pencils, markers and glue. Your one-time donation of $100 helps provide opportunities for low-income children and families to experience the museum. Your one-time donation of $500 helps underwrite a school tour. Please note: When making your donation, be sure to note if you are submitting your donation for a corporate match and the name of your employer. With even a small monthly gift, you can help give the museum to those who need it most. Your donation supports early learning programs for our youngest visitors, nurtures creative thinking for all our guests and helps families spend quality time together, including families facing financial challenges. Keep the legacy of your loved one alive by making a gift in memory of them. By doing so you are supporting unforgettable moments, filled with smiles and laughter, that happen every day at the museum. When making your donation, please note ‘Memorial Gift’ and provide the name of the person you wish to memorialize. If you would like us to send the family a card recognizing the gift made in memory of their loved one, please note that when making your donation online, or send the family’s name and address to our Development Manager lindsay.hochhalter@mesaaz.gov. Celebrate special milestones such as birthdays, weddings, or the birth of a child with a gift in honor of your loved one. When making your donation, please note ‘Honor/ Tribute Gift’ and provide the name of the person you wish to honor/ pay tribute to. If you would like us to send the family a card recognizing the gift made in memory of their loved one, please note that when making your donation online, or send the family’s name and address to our Development Manager lindsay.hochhalter@mesaaz.gov. Help pave the way toward a brighter future for children and families. By purchasing a $75 personalized engraved brick, you will support engaging interactive exhibitions, activities and programs at the i.d.e.a. Museum that foster a child’s sense of wonder and discovery. Engraved bricks are a great way to leave a legacy, honor someone (even your favorite furry family member) and/or promote your business. When buying a brick, please note what you would like engraved on it. You can use up to three lines for your personal message or names. Maximum 13 spaces per line. All text will be a standard font and style in all caps. All messages will be centered. Plan your legacy. …Please let us know if you’ve included us in your will. We use PayPal for online donation processing. Yes, all donations are tax deductible to the fullest extent of the law. The amount of the contribution that is deductible for federal income tax purposes is limited to the excess of any money contributed by the donor over the fair market value of goods provided by the charity, within the quid pro quo guidelines. Donors will receive any applicable tangible benefits while supplies last, unless donor notes decline of that tangible benefit at time of donation. Tangible benefits may be substituted at the discretion of the Development Office as and when needed. If you make a donation online through PayPal you will receive an automatic electronic receipt. If you mail in, or make a donation in person, a tax letter thanking you for your donation will be mailed within approximately one week from date of receipt. If you are making monthly donations, you will be sent a one year-end tax receipt. Yes. If you make a donation online through PayPal you will receive an automatic electronic receipt. If you mail in, or make a donation in person, a tax letter thanking you for your donation will be mailed within approximately one week from date of receipt. If you are making monthly donations, you will be sent one year-end tax receipt. All donations are public record, unless the donor requests that they be listed as anonymous.